We had three main performances during the 2015-16 season, with works that included a section of Handel’s Messiah , a composition by Morten Lauridsen, and pieces by Gilbert and Sullivan. Watch for future announcements here or on our Facebook page. 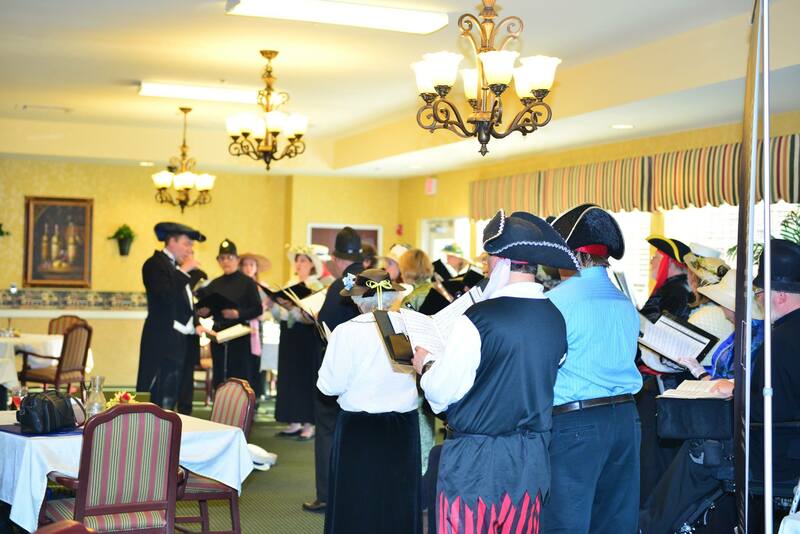 The Steiner Chorale performed selections from various operettas written by Gilbert & Sullivan. 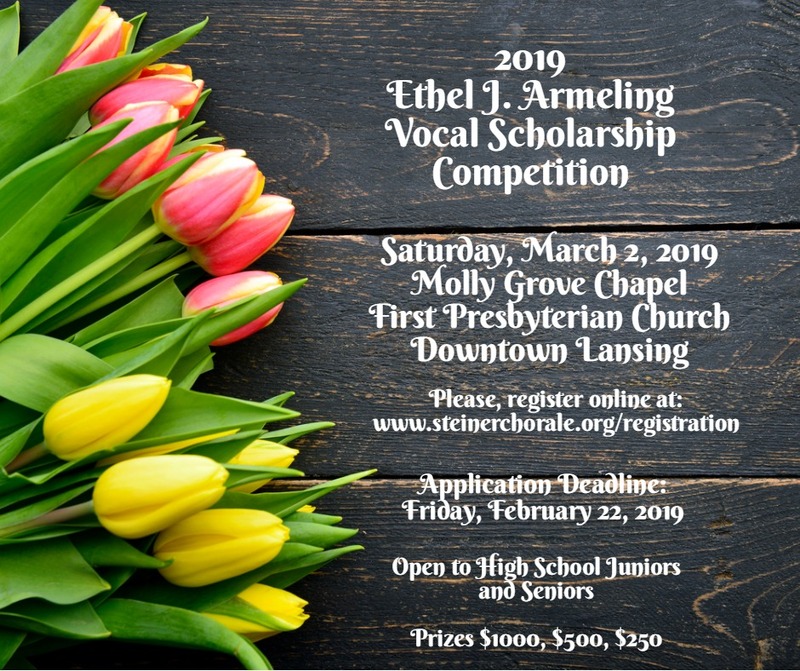 The program was presented on the historic fellowship hall stage at the Central United Methodist Church in downtown Lansing across from the capital building. This program featured many soloists and functioned also as the chorale’s annual fundraiser. May 2016 – Steiner Chorale performs a pre-concert at The Willows in East Lansing. All the music performed was the music of Gilbert & Sullivan. A special thanks to the residents of The Willows. The Steiner Chorale performed Handel’s Messiah on March 11 & 13, 2016 at Central United Methodist Church in downtown Lansing and South Church, Lansing, Michigan. December 12, 2015 – The Steiner Chorale began its 47th season performing many holiday favorites at All Saints Episcopal Church. Pieces such as “O Clap Your Hands” by Ralph Vaughan Williams and “Alleluia” by Randall Thompson were most notable. Featured at this concert was Morten Lauridsen’s Lux Aeterna. March 7, 2015 – Steiner Chorale, along with their own Masterworks orchestra, performed Igor Stravinsky’s Symphony of Psalms. The concert was held in the sanctuary of St. Thomas Aquinas Catholic Church in East Lansing. The concert was conducted by Corb H. Felgenhour. 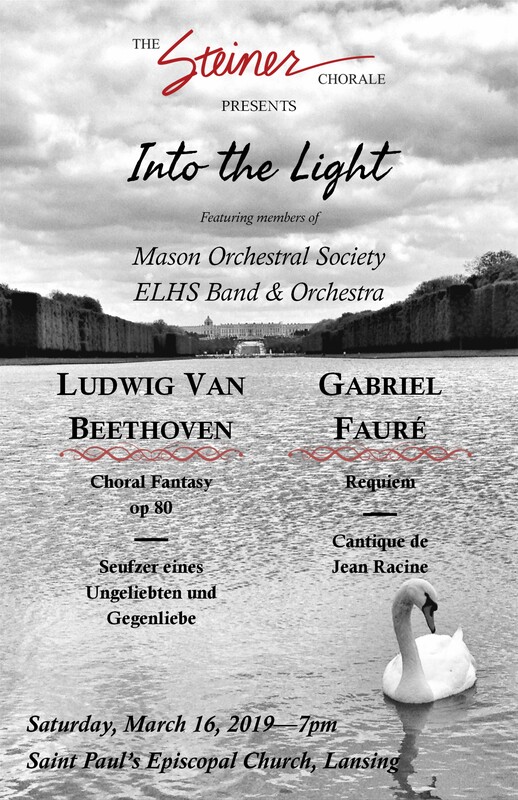 Some other selections performed by the Chorale were Daemon Irrepit Callidus by Orban, Wayfarring Stranger, arranged by Michael Engelhardt, and Song of Athena by John Tavener. Artwork by Carrie Simon.